Sign up with the Microsoft Store today and get special offers sent right to your phone. Once you sign up you will start receiving the latest news, events and special offers! 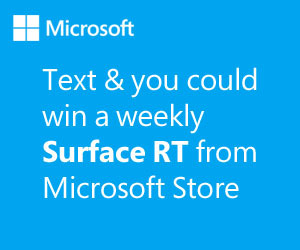 You will also get a 10% coupon to use at the Microsoft Store for signing up, plus a chance to win a Microsoft Surface RT every week. The Microsoft Surface will be priced at $199.99 at Best Buy on Black Friday! So this is a great giveaway that you don’t want to miss! So be sure to enter the Microsoft Store sweepstakes for your chance to win the weekly sweepstakes prize, a Microsoft 32 GB Surface RT! You will also receive a 10% off Microsoft retail store offer code when you register!If you win it could be a great gift for someone or you can keep for yourself! :) Good Luck! 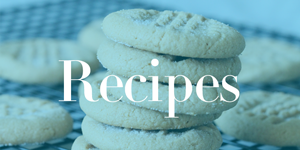 Bisquick Family Favorites Newsletter | Sign up for FREE!